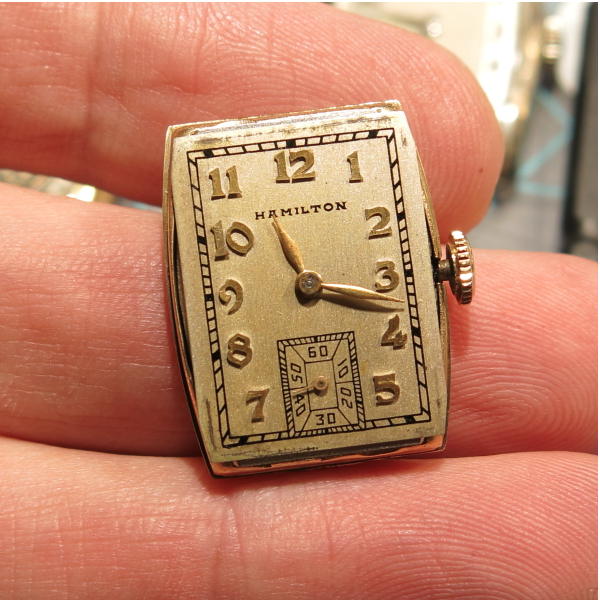 Hamilton introduced it's 14/0 sized movements in 1935 and ushered in a new generation of narrow rectangular watches and watches that curved to fit the wrist. 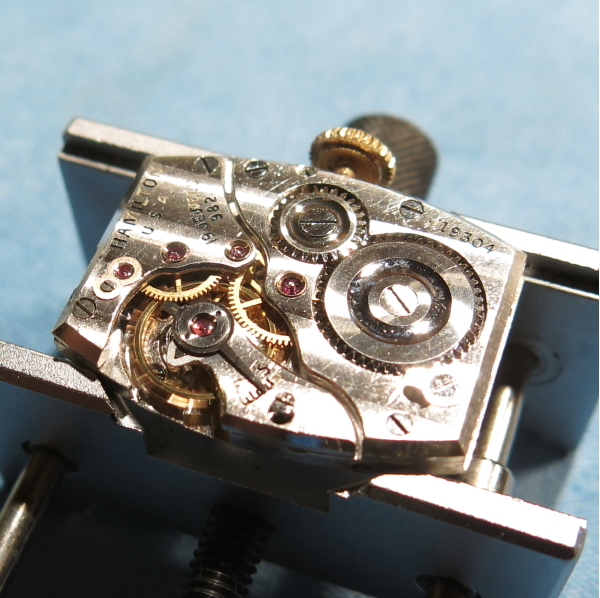 Two movements were introduced, the 17 jewel 980 movement for use in gold filled cases and the 19 jewel 982 movement for solid gold cases. 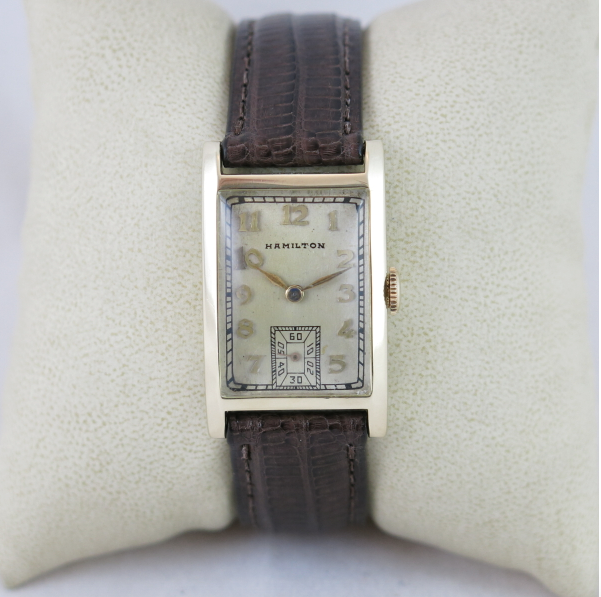 One of the first watches to feature the 982 movement was the 1935 Lowell. It was produced for only two years. The Lowell came in a solid 14K gold case with a sterling silver butler-finished dial with solid gold applied numerals. I recently was asked to help a friend with a family heirloom Lowell. The watch came presented on an old expansion bracelet - it's definitely about the right timeframe but the Lowell would originally have come on a strap. The bracelet is broken anyway - so it'll get replaced. The dial has been refinished at some point. It looks okay but I noticed that the "1" in 10 is a little too large. Sometimes dials use different-sized numbers on the sides of the dial but in this case I suspect the 1 was replaced with whatever was on hand. 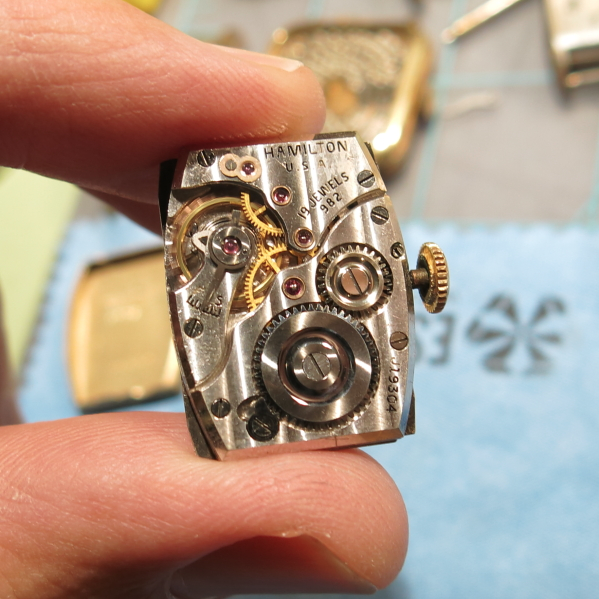 The movement would run and stop so it definitely was time for a cleaning. The serial number J19304 dates this Lowell as a 1936 model. 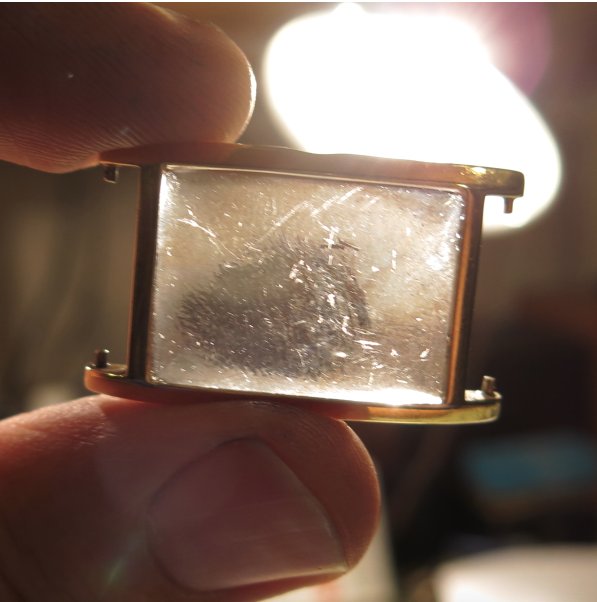 The glass crystal is scratched up and needs to be replaced for best physical appearance. Note also that the Lowell has posts for female spring bars - as opposed to holes that would accommodate the more common male version. Here's what a female spring bar looks like. 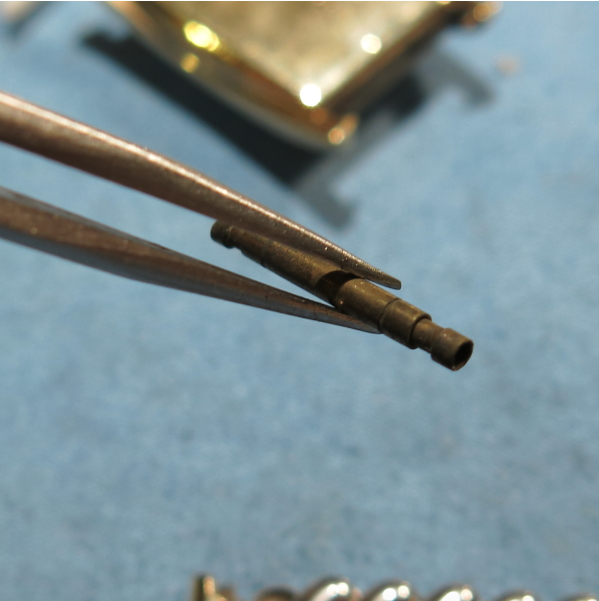 Some modern watches use female spring bars too - but the male pins on old watches are much larger so getting replacement spring bars can be a challenge. Unfortunately, one of the bars has a broken end - so a replacement is needed. Otherwise the watch will fall off the strap and that's never a good thing. Luckily I have a small stash of new spring bars. I'll have to open the holes a little with my drill press to get them to fit over the case's pins. One interesting bit of 14/0 trivia is although the 980 and 982 were produced for 17 years, slight changes to the movement occurred over time. 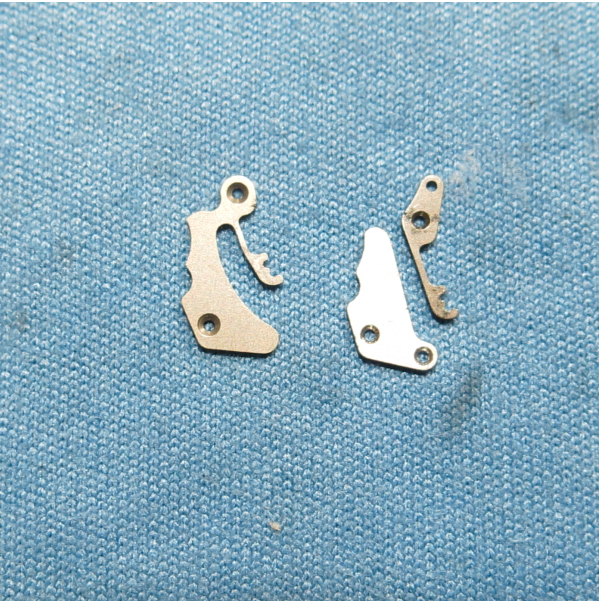 One of the first changes was the set lever spring, aka the set bridge. 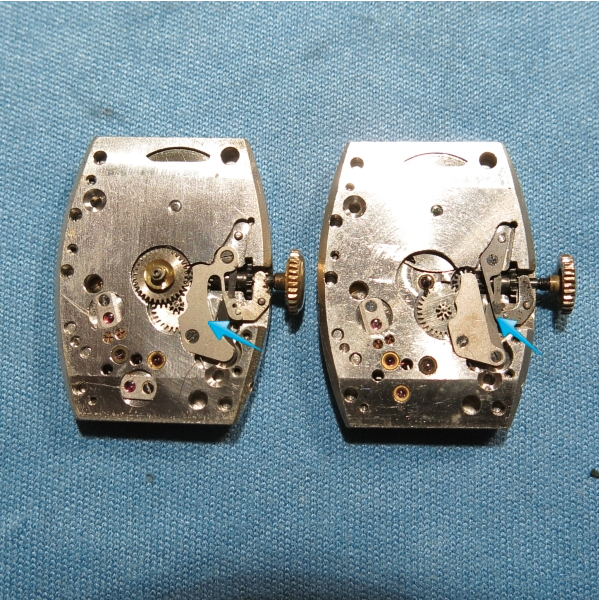 Originally, the movements had a two-piece set bridge - as shown on the right below. On my project watch, the spring must have broken at some point. It was replaced by a one-piece set bridge - as shown on the left. I was surprised to see that the replacement actually works - although it looks like the spring portion is a little bent to make it work. 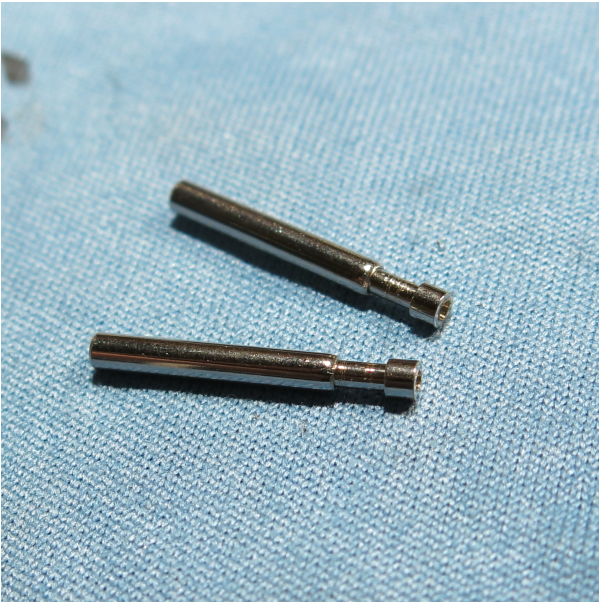 I happen to have the correct parts so I will replace the incorrect bridge with the correct pieces below. 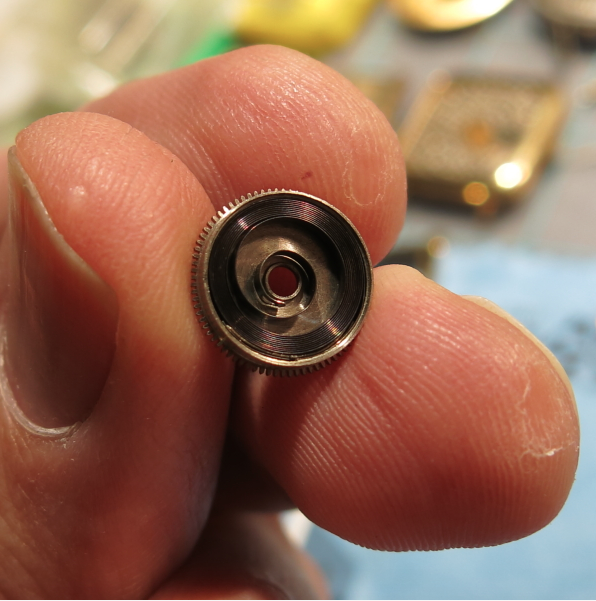 While everything is in the ultrasonic being cleaned, I'll check the mainspring. 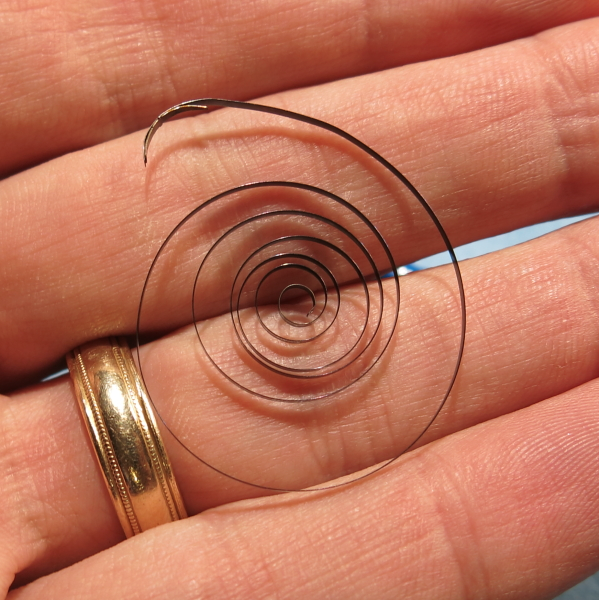 This watch has a regular blue steel mainspring installed. Outside the barrel, you can see the spring has "set" and lost a lot of it's potential energy. 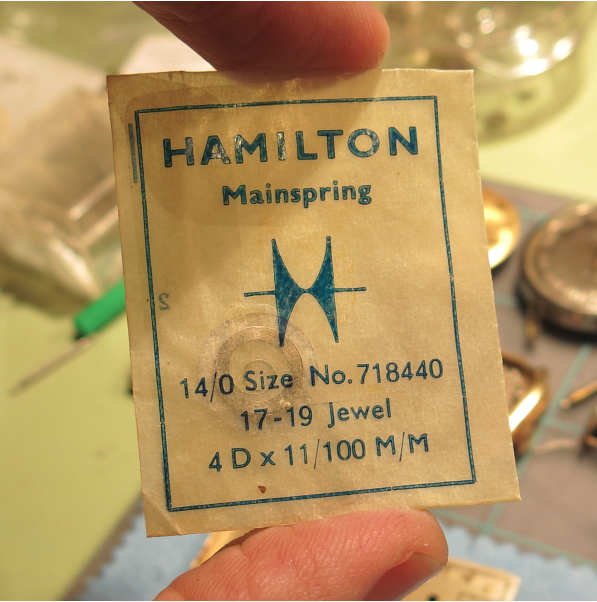 I'll replace it with an original white alloy Dynavar mainspring. It comes pre-coiled so it will drop right into the barrel - if I do it right the first time. 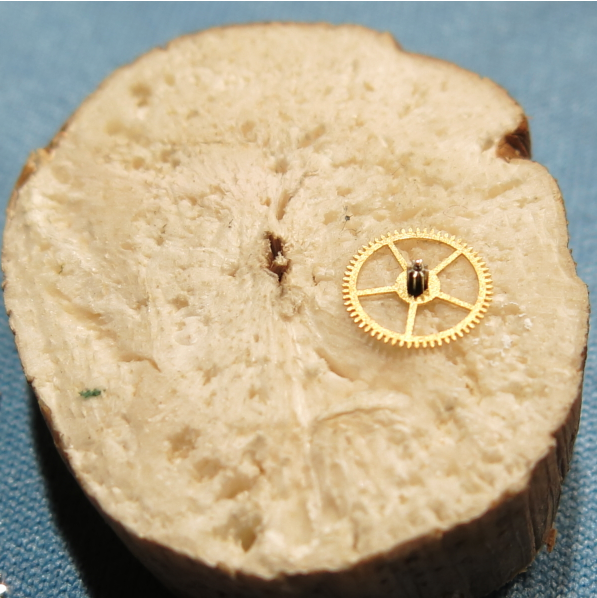 Once the parts come out of the cleaning process, the pivots on the wheels get a quick sprucing on a block of "pith wood" to make sure any remaining gunk is removed. Pith wood is a very soft wood, almost like a soft cork. Everything is now cleaned and dried and ready to go back together. 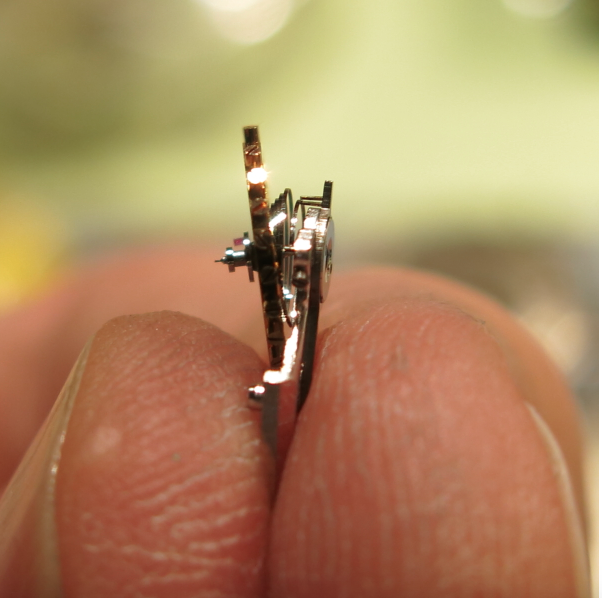 The 980 and 982 can be a pain to reassemble as you have to put all the wheels in at one time. I'm good at it now but I've broken my fair share of pivots learning how to do it. Patience and a steady touch are needed. 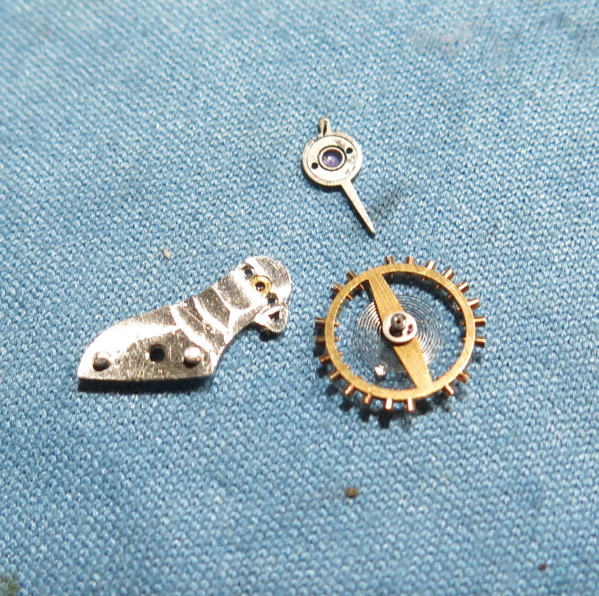 Normally I leave the balance assembly in one piece when I clean it because anytime you mess with the hairspring you are asking for trouble. 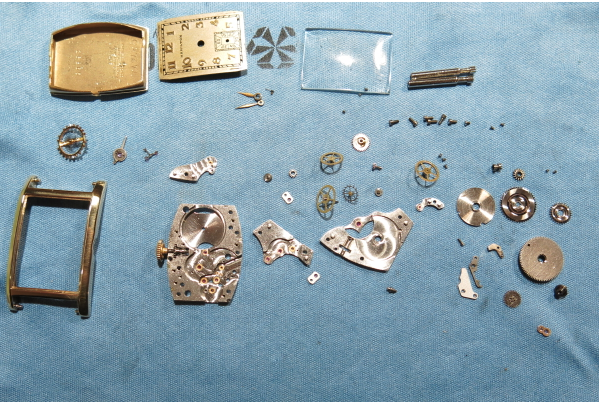 But since this watch wasn't running well I took it apart to make sure it got thoroughly cleaned. 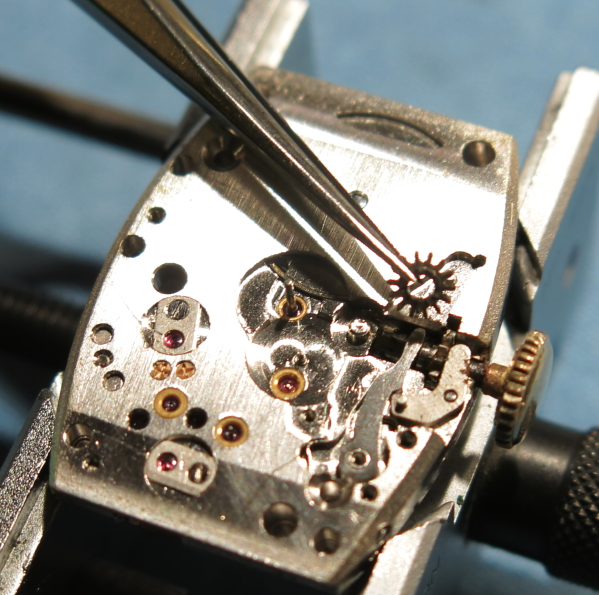 The hairspring needs to be fed through the regulator's fork - that's what allows the regulator to do it's thing. So I'll have to move it in the shot below so it's inside the two pins. Success. The watch is now running as it should, with good motion. 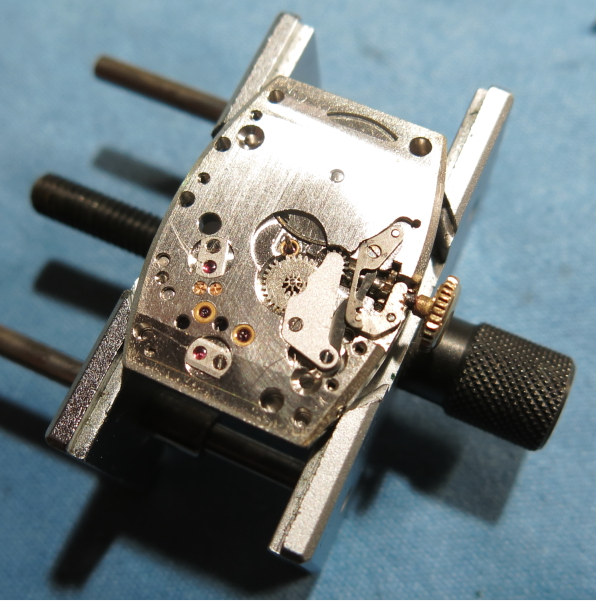 This watch was not winding very well either and would slip occasionally as it was wound up. 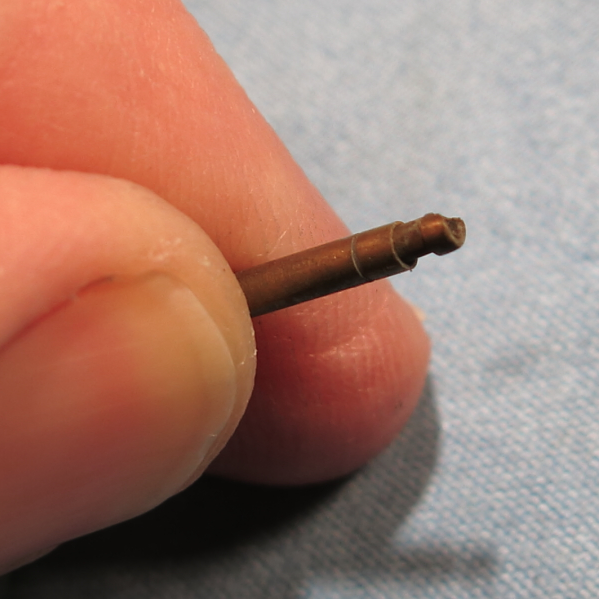 So I replaced the winding pinion with one that was less worn. 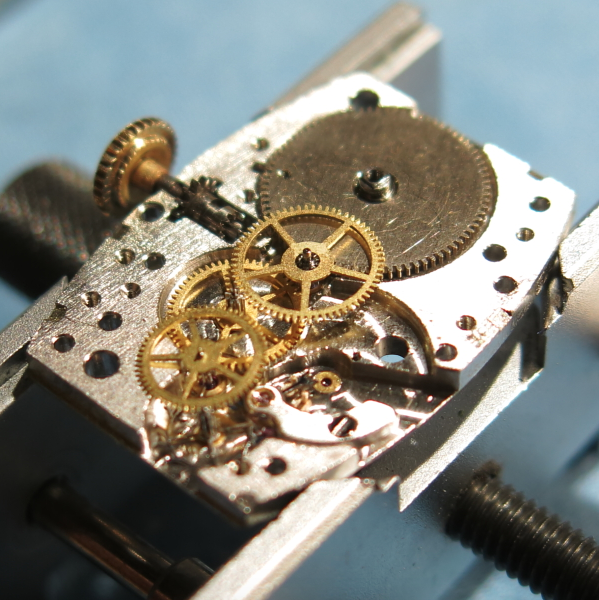 Here's the front of the movement with it's correct set bridge installed and it's ready for the cannon pinion, hour wheel and the dial to go back on. 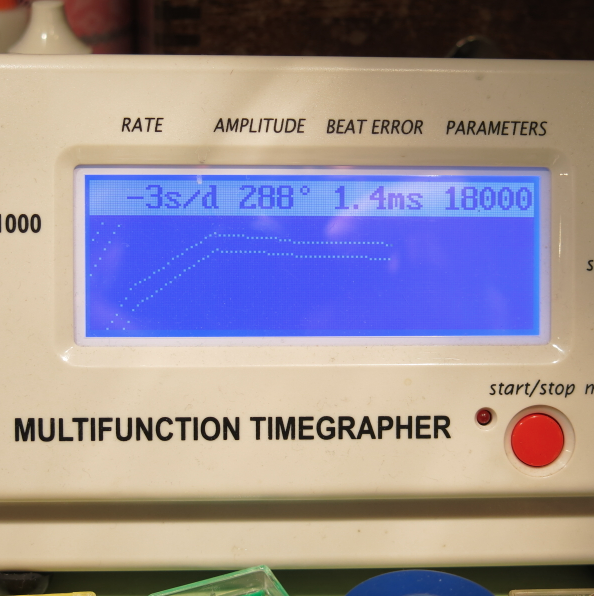 A trip to the timer will allow me to tune the regulator and get the watch to keep accurate time. And here's the finished product, all polished up and with a nice teju lizard strap safely installed with new stainless steel spring bars. The old crystal is still installed. It's a little domed so it makes the minute track wavy. A replacement crystal will fix that. 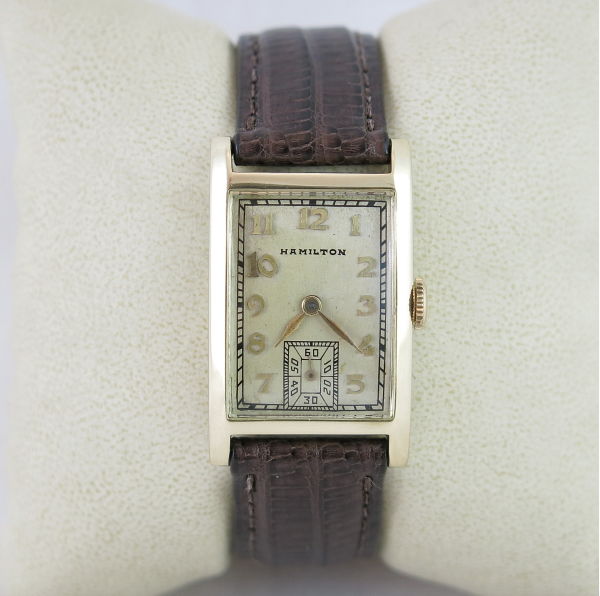 This is a nice watch and I'm sure the owner will be very happy that it can continue to be a treasured family heirloom. UPDATE - I purchased a new glass crystal for the Lowell before sending the watch home. I actually ordered one that's a little thicker because I like prominent look a thicker crystal has with a case like this. As you can see in the shot below… it's quite an improvement. The minute track is now a rectangle as it should be. 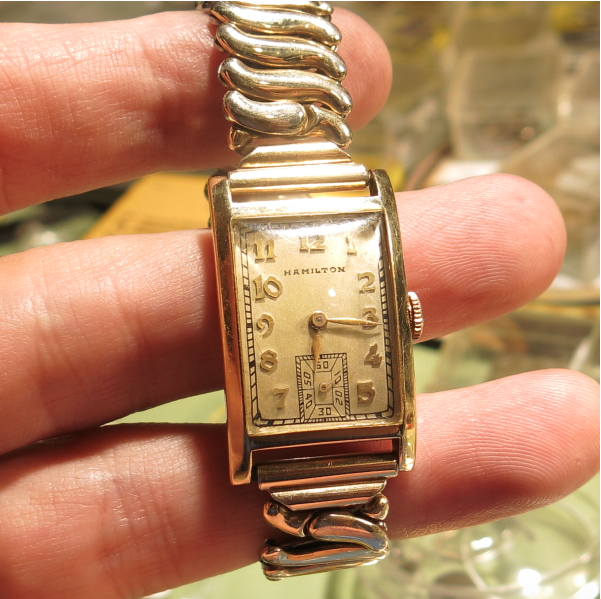 I'm so happy that my Dad's watch, which I found in one of his old cigar boxes, will find some new wrist time. It looks wonderful. Thanks so much.